In the United States, if you feel that your health and safety is in jeopardy by another person, you can petition the courts for a restraining order. 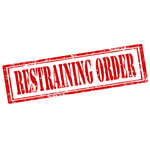 People who have a restraining order against them, risk jail time if they contact or come within a certain distance of the complainant. While every state varies with regard to the grounds for obtaining a restraining order and the scope of such orders, by and large they are considered to be effective measures in protecting individuals. Those who file a restraining order are commonly people who have experienced domestic abuse, i.e. spousal violence. Such victims need reassurances that they will be protected if their abuser makes threats. Recently, the question arose if whether protection orders could be warranted and/or violated by attacking one’s children. A California court of appeals believed that to be the case. The ruling had an impact across the state because the court said “abuse is not limited to the protected party seeking the order,” according to the article. The court of appeals ruling led to judges throughout the state being instructed that “abuse against the children is abuse against a parent,” said the executive director of the Family Violence Appellate Project, Erin Smith.